This website and services provided to you on and through this web site are provided on an "AS IS" basis. You agree that the site editor exclusively reserves the right to modify or discontinue provision of this website and its services, and to delete the data you provide, either temporarily or permanently from the site at any time and without notice and any liability to you. The site editor shall have no responsibility or liability for inaccuracy, or improper delivery of any data or information. Registration data and other personally-identifiable information that may be collected on this site will be treated the the utmost discretion. We do not pass on personal information to third parties! Should you be required to register yourself on this site, you are responsible for maintaining the confidentiality of your password, and shall be responsible for all usage of your user account and/or user name, whether authorized or unauthorized by you. You agree to immediately notify the site editor of any unauthorized use or your user account, user name or password. YOU UNDERSTAND AND AGREE THAT YOUR USE OF THIS WEBSITE AND ANY SERVICES OR CONTENT PROVIDED (THE "SERVICE") IS MADE AVAILABLE AND PROVIDED TO YOU AT YOUR OWN RISK. IT IS PROVIDED TO YOU "AS IS" AND THE SITE EDITOR EXPRESSLY DISCLAIMS ALL WARRANTIES OF ANY KIND, EITHER IMPLIED OR EXPRESS, INCLUDING BUT NOT LIMITED TO THE WARRANTIES OF MERCHANTABILITY, FITNESS FOR A PARTICULAR PURPOSE, AND NON-INFRINGEMENT. THE SITE EDITOR MAKES NO WARRANTY, IMPLIED OR EXPRESS, THAT ANY PART OF THE SERVICE WILL BE UNINTERRUPTED, ERROR-FREE, VIRUS-FREE, TIMELY, SECURE, ACCURATE, RELIABLE, OR OF ANY QUALITY, NOR IS IT WARRANTED EITHER IMPLICITLY OR EXPRESSLY THAT ANY CONTENT IS SAFE IN ANY MANNER FOR DOWNLOAD. YOU UNDERSTAND AND AGREE THAT NEITHER THE SITE EDITOR NOR ANY PARTICIPANT IN THE SERVICE PROVIDES PROFESSIONAL ADVICE OF ANY KIND AND THAT USE OF ANY ADVICE OR ANY OTHER INFORMATION OBTAINED VIA THIS WEB SITE IS SOLELY AT YOUR OWN RISK, AND THAT THE SITE EDITOR MAY NOT BE HELD LIABLE IN ANY WAY. The site editor reserves all of the site editor's rights, including but not limited to any and all copyrights, trademarks, patents, trade secrets, and any other proprietary right that the site editor may have for this web site, its content, and the goods and services that may be provided. The use of the site editor's rights. and property requires the site editor's prior written consent. By making services available to you, the site editor is not providing you with any implied or express licenses or rights, and you will have no rights to make any commercial uses of this website or service without the site editor's prior written consent. 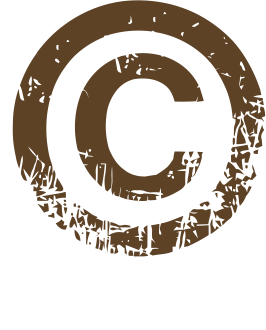 If you believe that your property has been used in any way that would be considered a copyright infringement or a violation of your intellectual property rights please contact the webmaster! This website is published and hosted in Germany by James Dekker. Once again, should you have any questions or complaints regarding all or any portion of this website, please contact the webmaster!